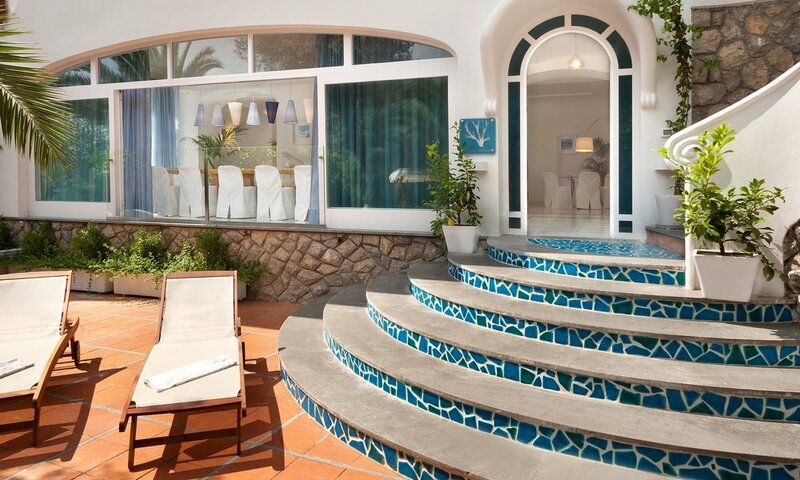 Just like a precious gem embedded in stone, this property is one luxurious spot in a tiny village in Sorrento Coast, a true retreat for those who love to be private yet very close to all the landmarks in the most famous Coast in the world. Precious materials, solarium and a Jacuzzi pool on the upper terrace are some of the features of this fantastic property, with prestigious furnishing and a stone-throw from the fantastic beaches of Marina del Cantone, and close to Positano and Amalfi. The most tasteful of furnishings and materials have been chosen and mixed together, the result is a balanced, elegant family property. All ceramics are handmade and custom, while the illumination chosen really makes a difference after the sunset. 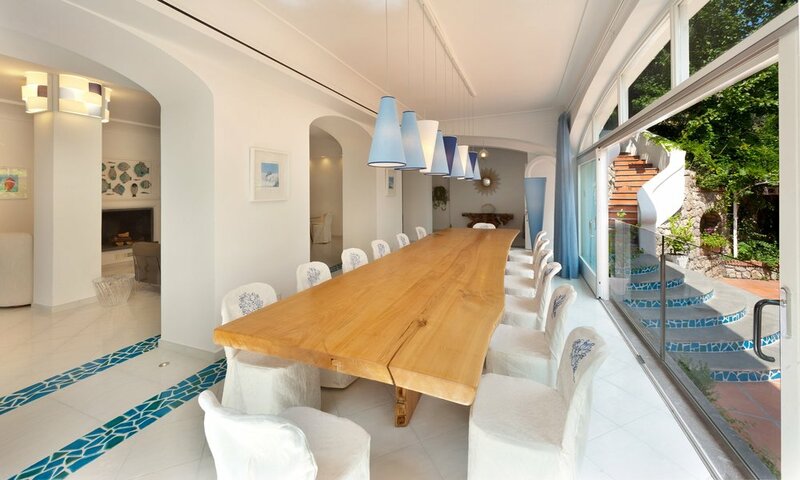 Choose this property if you are travelling with family, it’s perfect for children, or a group of friends who love the Italian style beach-life – and of course love great cuisine, with that string of fantastic restaurants on the beach. An incredible plus is that the husband of the owner is a captain with his own boat and, in high season, the boat can be rented (at a cost) to reach the best places of the coast in minutes rather than being stuck for hours in the infamous coast traffic between hot spots. The owners are generous and fantastic, and so it’s their house. The villa is built over three levels: on the ground floor, there is a large hall that opens onto two living-rooms and a beautiful dining room, whilst the upper floors contain the bedrooms and panoramic terrace with solarium and whirlpool with infinity edge. The terrace boasts a unique view of the sea, one of the best of the entire coast. We recommend this property to families and travellers who love the buzz yet want to go back home to a safe and private place in the evening, as well as to all who love great food – the famous Spaghetti alla Nerano, a symphony of zucchini, herbs and grana Padano are the typical dish here. This little bay hosts the Taverna del Capitano, a Michelin starred restaurant. The villa comes with a fantastic boat rentable at extra cost. The boat is 11 metres long and 3.8 metres wide with a sunbathing area of around 16 square metres, has a maximum speed of 33 knots and can take up to 15 people: travelling Sorrento, Capri and Amalfi Coast by boat really makes a difference during the summer, when roads are very crowded and off-the-beaten-path bays are the best place to be during the day.